The best way to save money is to grow your own food. But, lettuce seeds can take several weeks to get started, and to grow big enough to be harvest. And, in the winter, it’s hard to find seeds anyway, right? The solution is to regrow your own lettuce from already harvested heads. 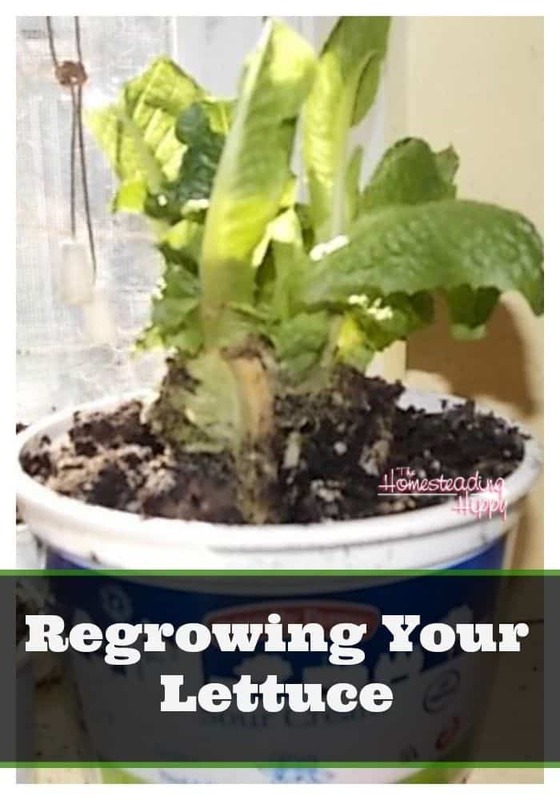 Regrowing your lettuce couldn’t be easier. 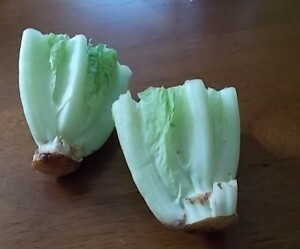 Simply cut off the bottom of the lettuce head, leaving just an inch of leaves in place. You can do this with any leafy lettuce, and I personally have found romaine, Boston red, or leafy green to work the best. You just want a lettuce with a core that you can soak in water. I haven’t tried it with iceberg yet, but if that’s what you want to eat, I’d say it’s worth trying! Place this in water for a couple of days, until the roots begin to regrow. Some push toothpicks through it to hold it in place. 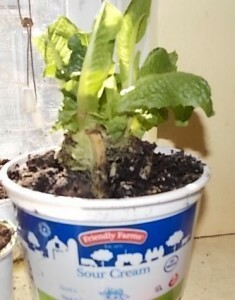 I just used a coffee cup that the roots would not slide down easily for the plant itself to be totally submerged. Then, plant in a container of dirt and watch it grow! Within a few weeks, you will have lots of lettuce all for no work! Simply harvest the leaves every couple of days to keep the plant growing. You want to make sure to not cut the leaves all the way off, but to leave a 1/2 inch or so to the root again. This will keep the plant a bit healthier and growing better for you. That’s been my experience, anyway. Come Spring, and warmer weather, you can plant your lettuce roots right in your garden to get a jump start on fresh garden greens all over! For this reason, we usually regrow 6-8 lettuce heads during the winter. I will plant some extra in the fall to dig up and regrow all winter long. What a great idea–I usually take those ends of lettuce and give them to our composting guinea pigs, but I’m going to save one out to grow instead. If I play my cards right, it can go right into the garden. I live in a small condo with really no accessible yard. I’ve never planted anything before except for tomatoes and they weren’t any good. BUT I would like to try to plant some food. Any suggestions? container gardening may be your best friend. Try using pallets, flower pots, buckets or whatever you can get your hands on. Another great alternative is to buy a bag of organic soil, poke a few small holes at the bottom,, open it up at the top, and plant your plant right in there.